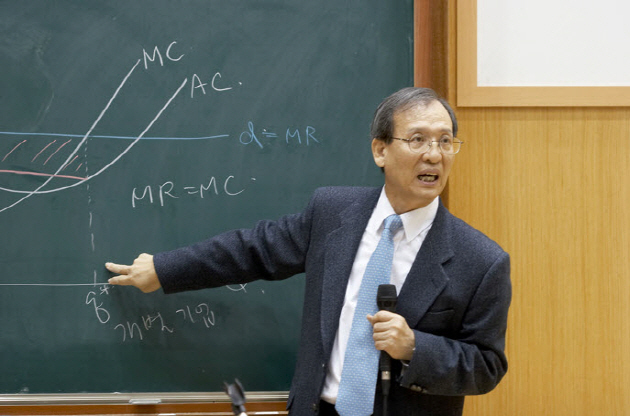 A Seoul National University Economics professor LEE Joon Koo teaches the most popular university-level online course. Lee’s course, Going Into Economics, is one of the many courses offered by K-MOOC (Korean Massive Open Online Course), a site that includes online courses from 11 universities throughout Korea. From October 14, 2015 to the end of February 2016, 7630 students had registered for Lee’s online course. In March 2016 alone, 3,246 students registered for the course. Although other courses taught also had a high number of registrations, none came close to Lee’s Economics course. Some of the other popular courses were ”Creative Ideas, Achievable Creativity”, which had a total of 5,931 students registered and “Artificial Intelligence and Machine Learning,” which had 4,524 students registered.